MANILA, Philippines - Slowly but surely, Tanduay Alab Pilipinas is climbing up the standings as they humiliated Singapore Slingers in their home turf, 89-80, on Sunday, January 7, 2018 at the OCBC Arena in Singapore. For the 2nd time in-a-row, Alab’s new import and NBA veteran Renaldo Balkman opened the scoreboard in favor of the Philippines. The Puerto Rican uncovered the book with 7 quick points while his partner, Justin brownlee, took care of the defense department at the same time. Justin Brownlee joined the scoring party with a long trey and Lawrence Domingo made a well-challenged basket underneath to escalate Alab’s lead to 8. So far, all imports had scored within 7 minutes of the opening quarter. Hanbin Ng on the other end of the floor, started to wax hot from the three point territory together with Singapore world import Xavier Alexander to cut the lead down to 5. Slingers’ heritage import and Fil-Aam AJ Mandani checked in and promptly fired from the outside to downsized Alab’s lead to just 2. After the first 10 minutes of the game, Philippines led Singapore by 4, 21-17. Singapore Slingers new import, Chris Charles,got into foul trouble too early at the start of the third as he committed his 3rd personal foul against Renaldo Balkman. Alab hit its 1st double-digit lead midway of the 2nd period, 31-21 but Hanbin Ng spoiled Philippines’ celebration with another long long bomb followed by easy baskets from Chris Charles and Xavier Alexander. Alab Pilipinas could’ve brought the lead back to double-figures again before the first half ended but the Filipino cagers and the imports struggled on the free throw line for multiple occasions and had defensive lapses that paved way for Singapore Slingers to level the game 36-all after 2 exciting quarters. Philippines started the third quarter sloppily as the team committed 3 successive turnovers which Singapore converted into 6 instant points to grab the lead for the first time in the game. Chris Charles who was a sleeper in the first half abruptly exploded offensively and gave Singapore a 10-point lead. Alab Pilipinas’ intensity and hussle late in the penultimate quarter changed the tides and switched the scoring momentum to the Philippine side as the nationals overcame the double-digit advantage of Singapore and took the lead back, 55-54 with 2:30 remaining in the clock. Bobby ray Parks Jr. and Lawrence Domingo exerted huge efforts with the aid of Justin Brownlee as they wrapped up the third with a three-point 63-60 lead. The final quarter was unfolded with both squads trading baskets and got the crowd going crazy by giving the fans a terrific ball game. Multiple goal tendings had been called by the game officials that proved game’s intensity. At the 2-minute warning, Singapore tied the game at 75 and Coach Jimmy Alapag had no other options but to call a timeout and layout a better game plan that will favor Alab Pilipinas. After the timeout, the play was obviously designed for Justin Brownlee to take the shot. Brownlee got a good look and drove to the basket but missed. Fortunately, Robi Celis drained a cold-blooded trey after the miss and Alab once again led Slingers by 3 with 50 ticks left. Renaldo Balkman did a fantastic job in guarding the shaded lane and prohibited Singapore from closing in right after Alab took the lead. But, AJ Mandani hit a timely three pointer to tie the game once again at 78 and sent the game into overtime. Justin Brownlee took charge in the overtime as he scored back-to-back baskets and a perfect dish to Renaldo Balkman for a 6-point lead. Bobby Ray Parks Jr. added 3 more to to make it a 3-possession Alab ball-game. Singapore had its chances to close in but turnovers hit the Slingers so bad and ended the game in favor of Tanduay Alab Pilipinas 89-80. With the win, Alab has atoned its loss against the same team late last year and will set another faceoff against Slingers for the third time on January 10. 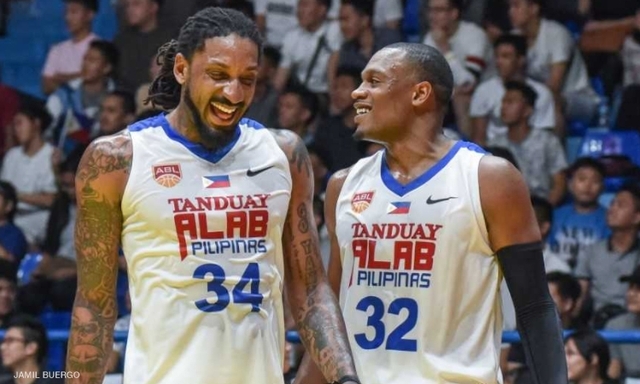 Philippines improved its record to 3-3 and won 3 straight games, 2 with Justin Brownlee and Renaldo Balkman on board.